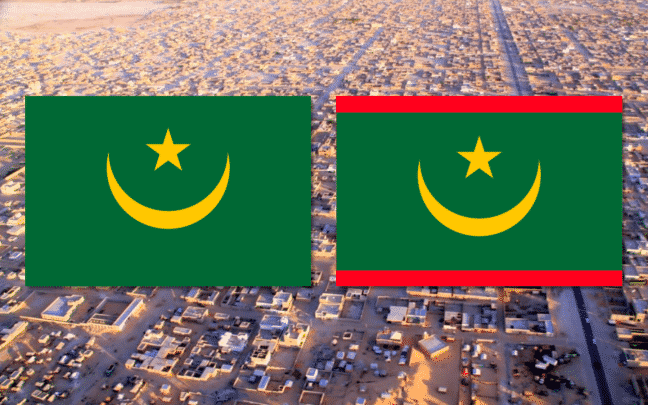 Mauritania’s president bundles a patriotic flag change with abolishing the senate - The Maghreb Times ! Critics say President Abdel Aziz is laying the groundwork for a third term. On Sunday, eligible citizens of the North African state of Mauritania went to vote on a referendum on two constitutional amendments. One was pretty straightforward: The nation’s green flag with a yellow crescent moon and star would have two red stripes added to symbolize the blood spilled in the 1960 independence struggle against France. Voting against the measure would be like spitting on the patriots’ graves. It passed overwhelmingly, with 86 percent casting a “yes” vote. But marking “oui” on the ballot also meant approving President Mohamed Ould Abdel Aziz’s plan to abolish the country’s senate, which he described as “useless and too costly.” The senate’s authority will be devolved to more pliant regional and religious councils. Mauritanians are almost 100 percent Muslim. Combining the amendments into one vote was a display of authoritarian expedience, critics said. Human rights activists allege that Abdel Aziz, who came to power in a 2008 coup d’état, is laying the groundwork for a third term in office, which is currently unlawful. The senate had, perhaps unsurprisingly, rejected its own abolition in March, prompting Abdel Aziz’s push for a referendum. According to Agence France-Presse, the president has speculated at further amendments-by-referendum in the near future. Mauritania is one of the world’s poorest countries. The average income there is just over $1,000 a year. That means that even the flag change is controversial — because it is costly. Every flag — be they stand-alone or on any number of signs, uniforms and so on — will have to be replaced. Abdel Aziz and his predecessor, whom he deposed, for that matter, have abysmal human rights records. Mauritania is infamous for having one of the highest instances of slavery in the world. It hasn’t experienced a peaceful transition of power since its independence nearly six decades ago. But Western governments, including the United States, support Mauritania as a partner against terror groups operating in the Sahara. A boycott movement against Sunday’s referendum lowered turnout in the capital, Nouakchott, to around 36 percent, though the rest of the sparsely populated country, clustered mostly in oasis towns in the Sahara, voted in much higher numbers. As he cast his vote on Sunday in the capital, Abdel Aziz scoffed at any opposition. “Those who have followed the news lately realize that they have no impact on the national political scene,” he said.